09.12.06 You've heard the names before. 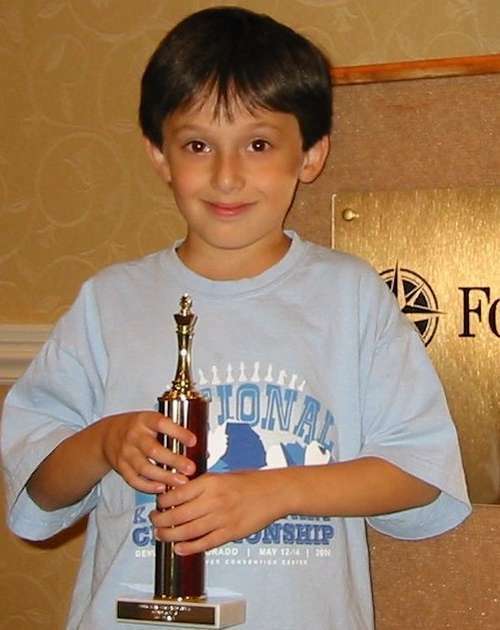 State K-3 champion and high scoring Maine player at the Elementary Nationals in Denver, Matthew Fishbein and Maine chess stalwart Richard Judy, of the Kings and Queens Chess Club take first in the K-3 and One Day U1900 sections respectively at the 66th New England Open in Leominster, MA. The tournament ran from September 2 - 4. Former Maine state champion Jarod Bryan also competed, finishing 15th in the Open section. Outgrowing the trophy case: Matthew Fishbein with another piece of chess hardware. Here Matthew played 11. 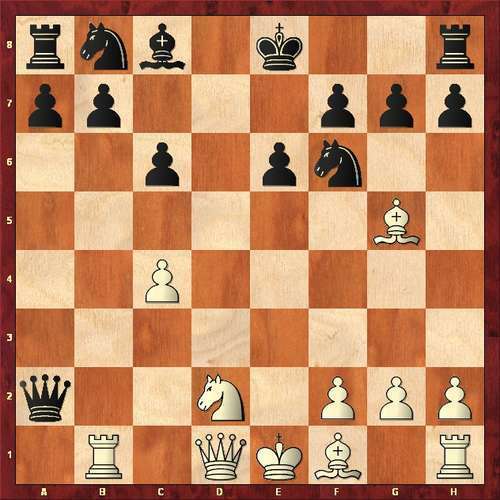 Ne4, objectively not the best but Black couldn't resist the "free" knight and played 11. ...Nxe4?? 12. Qd8 mate. Crosstable of this event here. You are amazing. I am so poud of you. You are a joy to your parents and grandparents. While we were in Africa your grandparents missed no opportunity to tell everyone how wonderful you are and I agree. My very best. Bravo, Matthew! We are all sooooo proud of you and your accomplishments. Remind me never to play with you. How about some "Candy Land"? That's more my speed. Congratulations.